Questions from readers: Best doc? 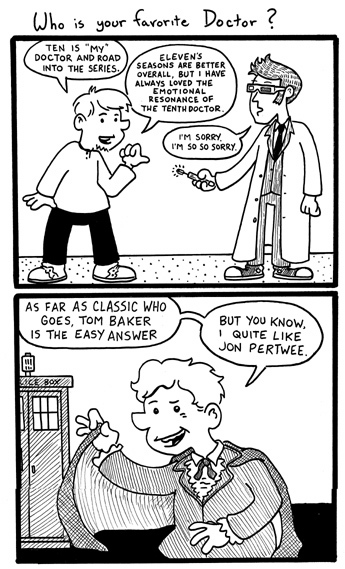 I stand by that first panel: Season 5 is the best season of NuWho overall, but Ten is the better version of The Doctor. I don’t know if that’s a controversial position or not. Questions from readers: Fav media? 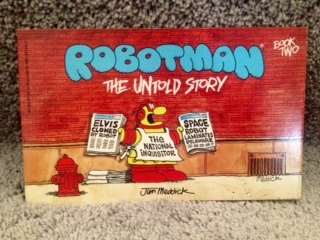 So, a couple of notes about this one. Obviously, I drew this well in advanced of the end of How I Met Your Mother and… yeah, while there’s something to be said for a group of creative people “sticking to their guns” insofar as their preconceived end to the show, the finale of HIMYM, overall that last episode made me feel icky. 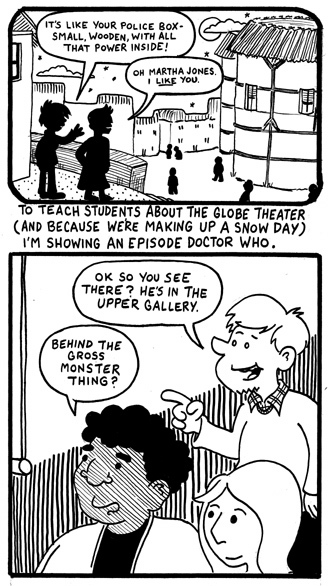 Secondly, well after drawing this comic, I realized: I ripped off the general structure of this strip from a very talented cartoonist named Melinda Boyce! 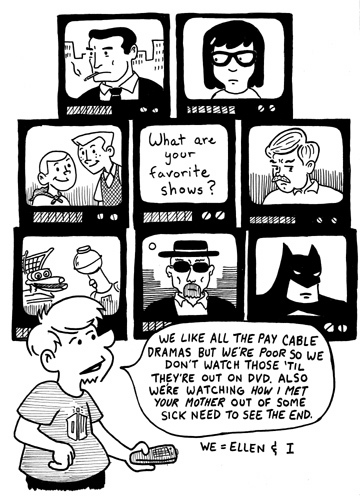 It’s one of those thing where I read that comic like three or four years ago, forgot about it… and then ran across it again a few days after I drew this thing. Her version of this strip is a muuuuuuuch better version of this kind of thing (obviously) and you all should follow her comics at wherever they’re being posted right now. Finally, you’ll notice no Doctor Who on those screens, but I am wearing a DW tee shirt. If you’re a fan of the doctor, the next few days will be your cuppa. 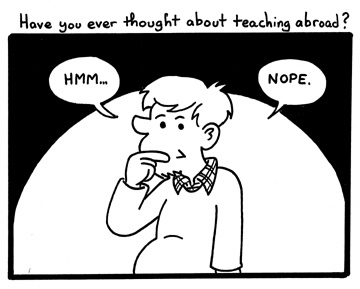 Questions from readers: Teaching abroad? I wish I had a better answer for this one! I would be a horrible teacher abroad, I so like the creature comforts of home. Would that I were more adventurous. 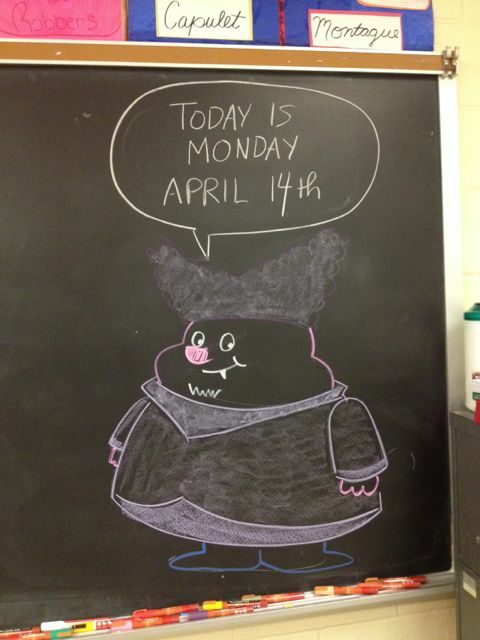 Cartoon Network week! I really miss Chowder and The Marvelous Misadventures of Flapjack… the latter especially. I know a lot of the creators on those shows have gone on to do great work in animation but jeez… Flapjack was the best, right? 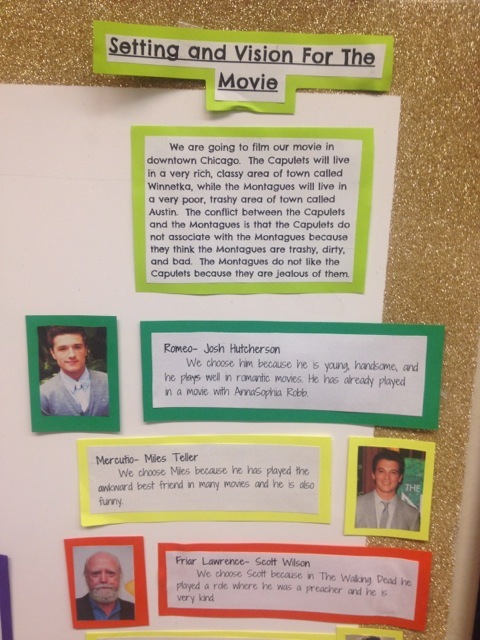 Here’s the third go-around where I’ll be bragging on my students’ work on their Romeo & Juliet movie pitches. 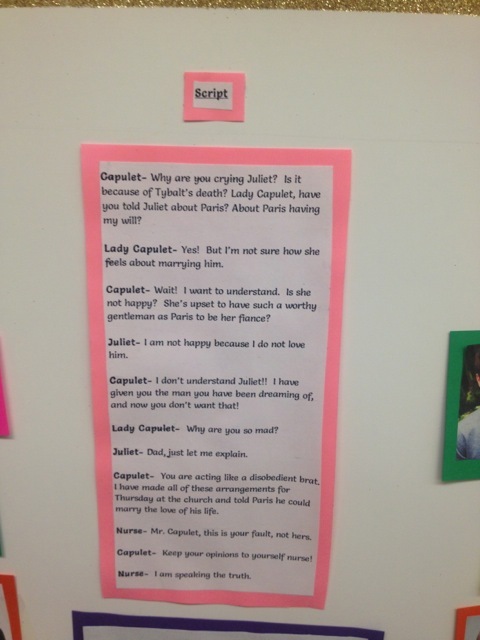 Students were asked to come up with a modern spin on the classic tale. 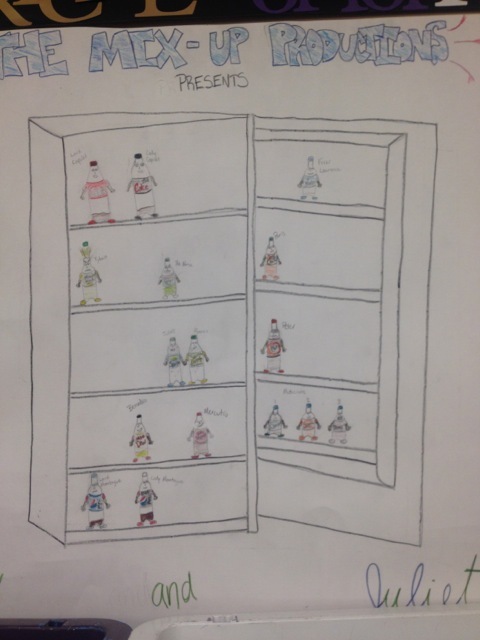 So here’s a cool one… this group imagined a Pixar-quality animated film where the contents of a fridge come to life and play out the story of Romeo & Juliet. They played careful attention to the feud aspect of the Montagues and Capulets by casting Pepsi products as one family… and Coca-Cola products as the other. 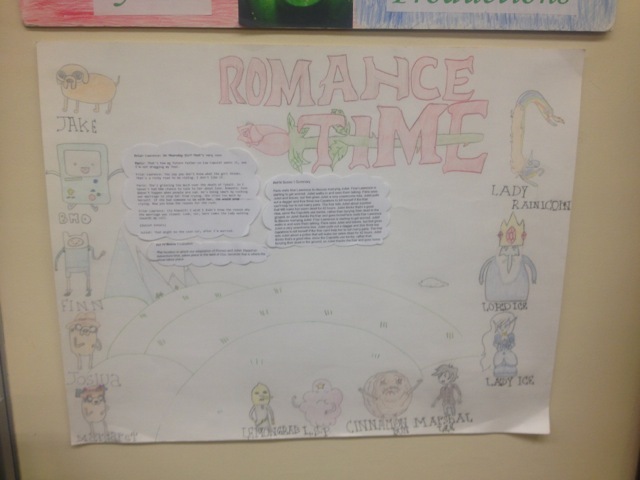 Here’s another reworking of an already-exisiting property: Romance Time, an Adventure Time take on Romeo & Juliet featuring many of the characters from the popular animated series. Seeing as I’m a pretty big fan of AT myself, I heartily approved. Here, in close up, are some examples of casting for one of the projects. You can see the though process of some of my students and their conclusions. You are currently browsing the Teachable Moments blog archives for April, 2014.